Texas Instruments recently introduced the TMS320C6748 DSP development kit (LCDK) for real-time analytics applications such as fingerprint recognition and face detection, as well as other digital signal processing applications, such as audio and communications. DSP core performance benchmarks that show the real-time processing power of TI’s C674x DSPs. 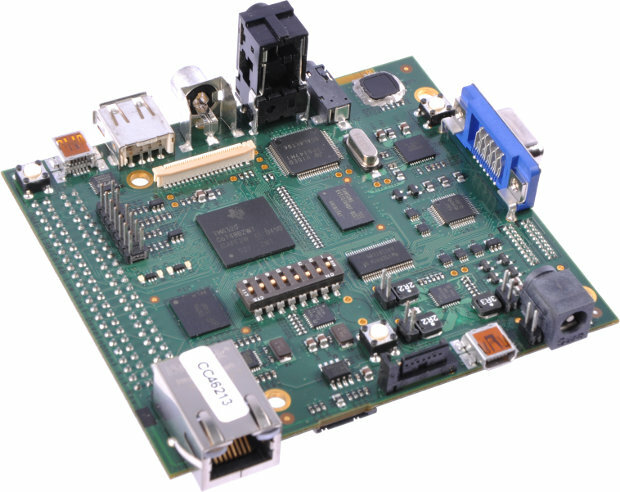 The C6748 DSP development kit also includes Code Composer Studio IDE v5.1. Several standard interfaces for connectivity and storage are available in the board to allow audio, video and other signals. Expansion headers also allow developers to add display and user interface technology, such as camera boards and LCD screens. The board schematics and design files are supposedly available for download, although I could not find where… and very little information was provided on the board. Note – This kit is now available at $156, a limited time offer, 20% off of the regular purchase price of $195. Reduced price is only good through August 31.